Ebenezer Scrooge is a mean, miserable, bitter old man with no friends. One cold Christmas Eve, three ghosts take him on a scary journey to show him the error of his nasty ways. 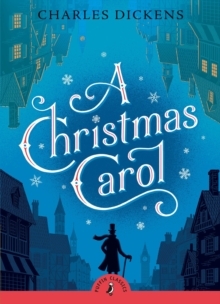 By visiting his past, present and future, Scrooge learns to love Christmas and the people all around him. With a light-hearted introduction by bestselling author Anthony Horowitz, creator of the highly successful Alex Rider novels.